Shawn was out of town for work and the Flintstones (my folks) were going to stay overnight to protect Daisy and me from monsters under the bed. Mom and Dad are known to wake up several in the night and sneak off to the kitchen for some coffee and whatever snack I leave near the espresso machine. So I was in the market for something new to bake. That’s when I saw the article about “pound cake’s healthy cousin.” Healthy? YO, what, like boiled broccoli? Were these people kidding? I rolled my eyes and was just about to turn the page when I saw it: A golden-yellow slice of moist cake with the sunlight shining through the little air pockets. Ok, I had to at least try the recipe just once, right? Damned glad I did, too, because it was a breeze to make and so delicious that Mom ate 2 slices before the cake ever hit the dish! Use a pastry brush to coat a small (4-cup) Bundt cake pan. Preheat oven to @ 350*F.
In a large bowl, mix sugar, zest, yogurt, eggs and vanilla. Gently incorporate flour mixture and pour into a greased baking pan. I used my faithful baby Nordicware bundt pan. It always yields a beautiful cake that simply pops right out. Maybe you should make two. You’ll probably eat the first one by yourself before it ever sees that fancy cake stand. I just saw your comment from 5/18 in my inbox, sorry for not reciprocating sooner. However, I am glad this post did not pass me by. 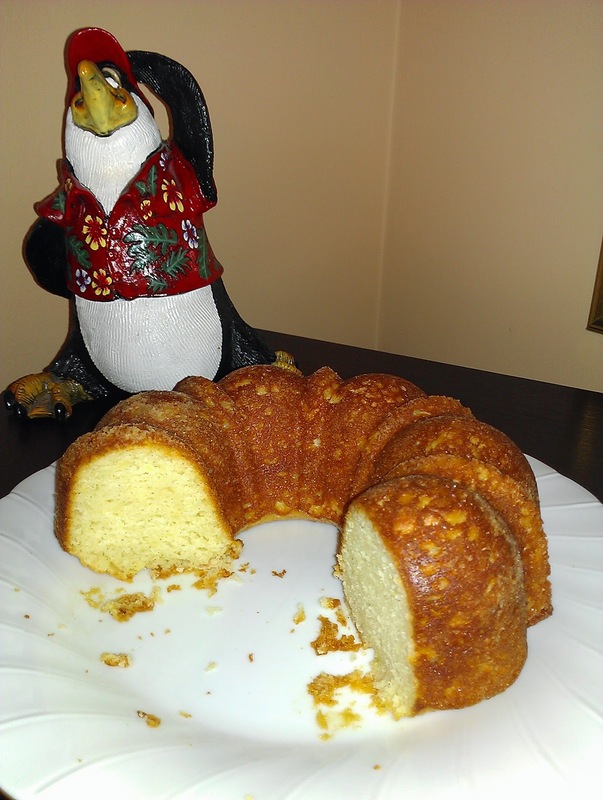 I really do love lemon cakes, especially bundt cakes! 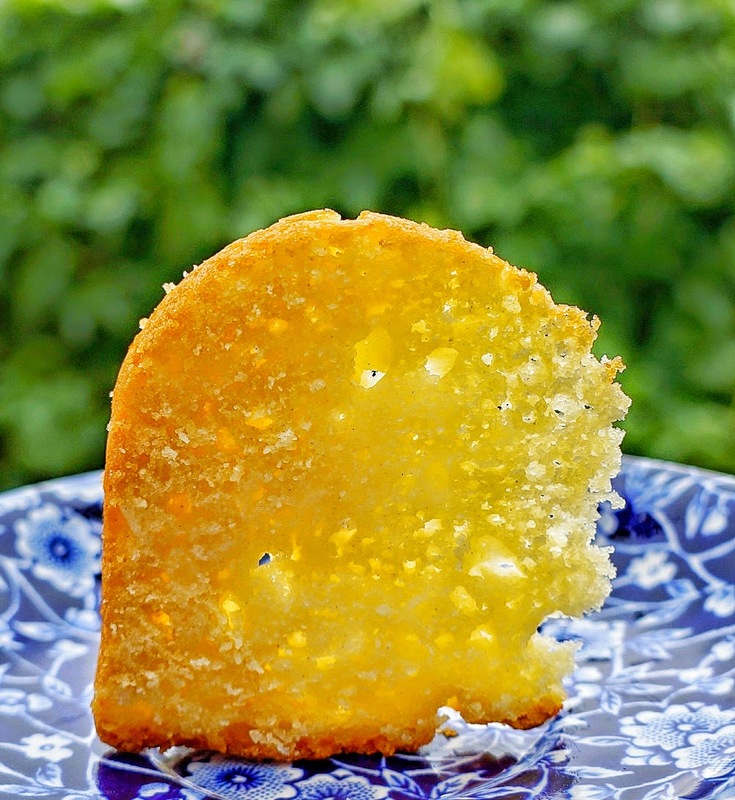 The olive oil plus the yogurt must have given some great texture to that cake, it does look really moist! Your mom does know what good is-yum! Thanks, Tina. I love your recipes, too. Let me know if you try this one. I am going to have to make this ASAP. Thanks for sharing. 🙂 New follower here; looking forward to more! Thanks for your comment in my blog. Lemon cake looks so soft and yumm. you used yogurt and eggs both! wil try this for sure. Enjoy, Padma. It's a brilliant, easy recipe. This looks lovely, as most lemon cakes do to me. Pinning it to try later. Hi, Kim. Let me know how you like it.